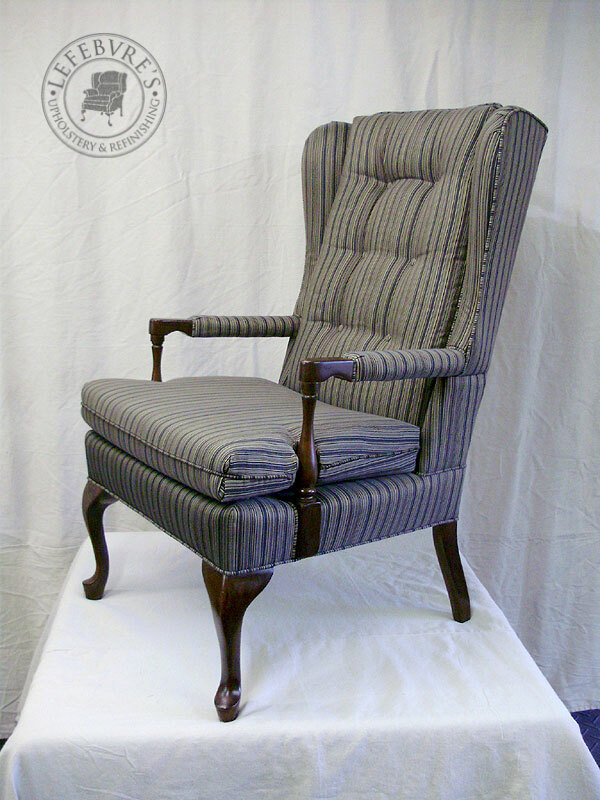 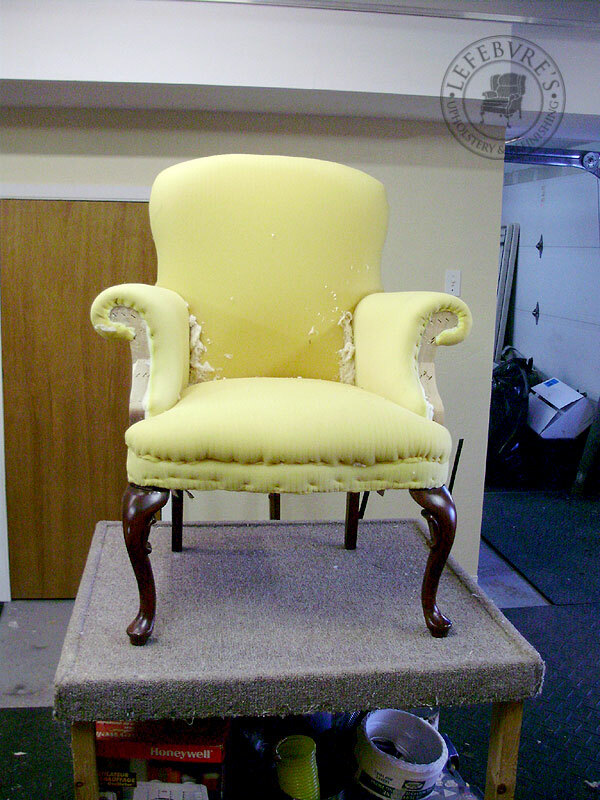 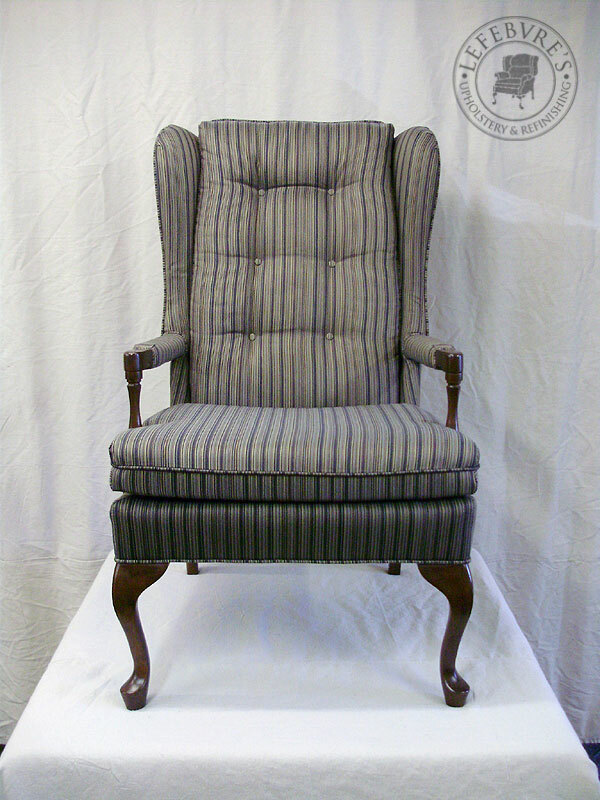 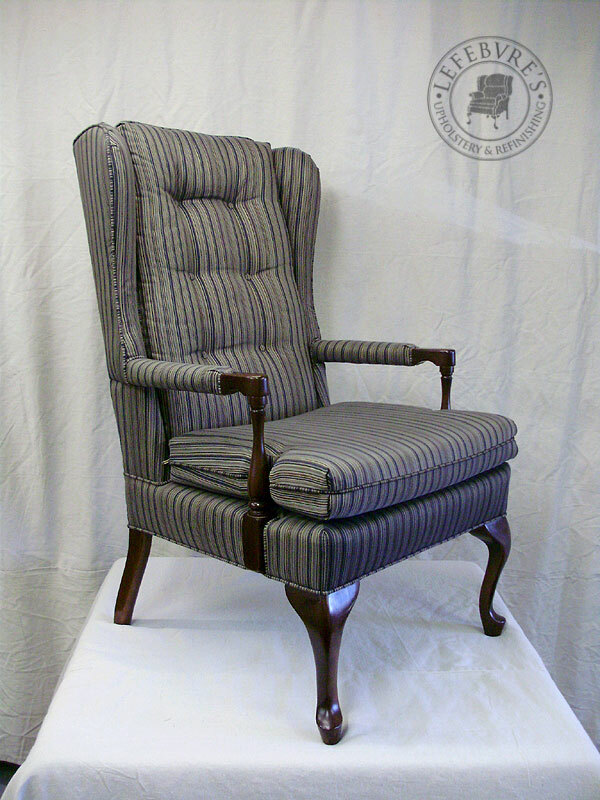 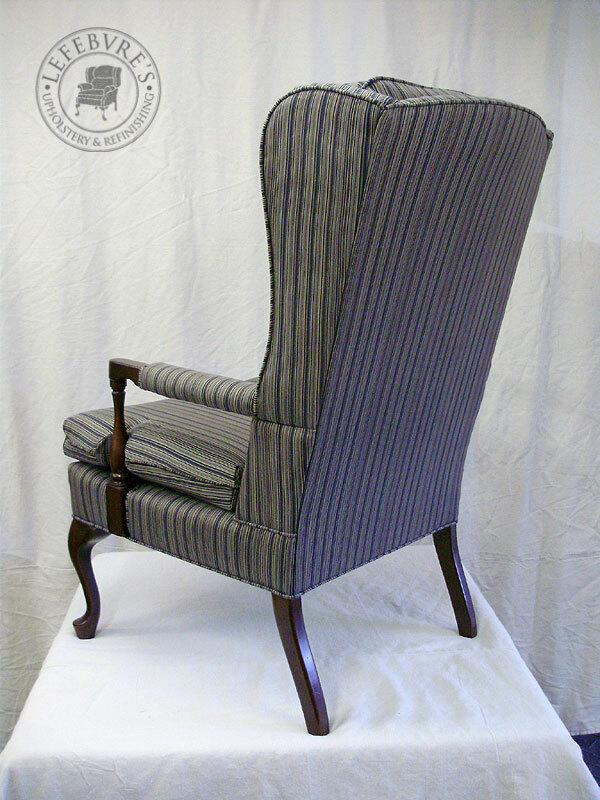 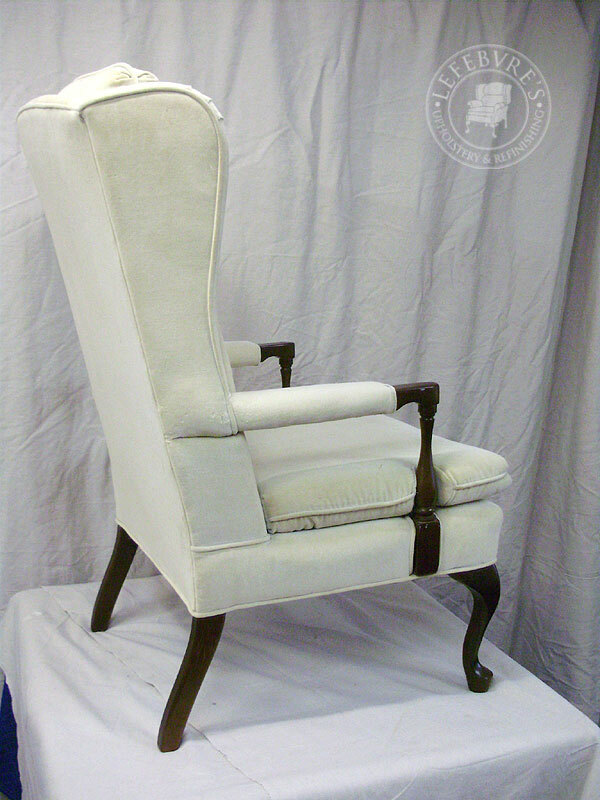 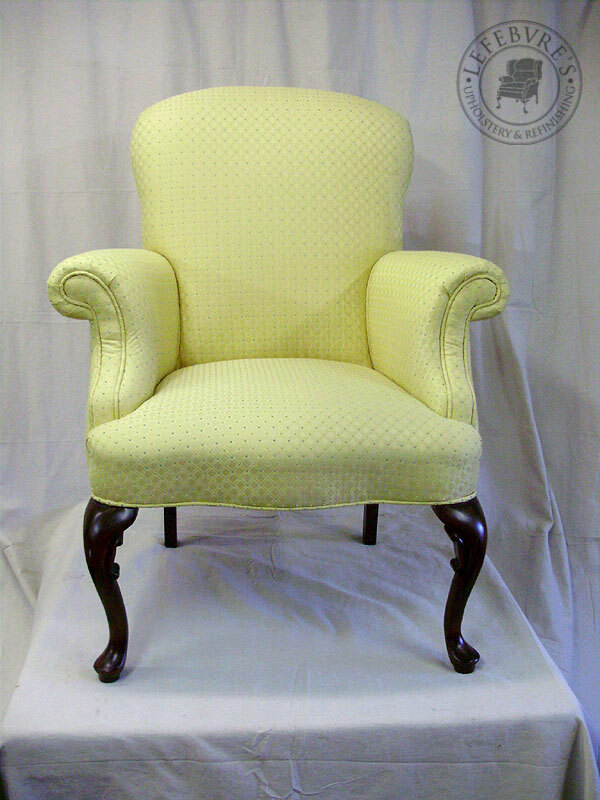 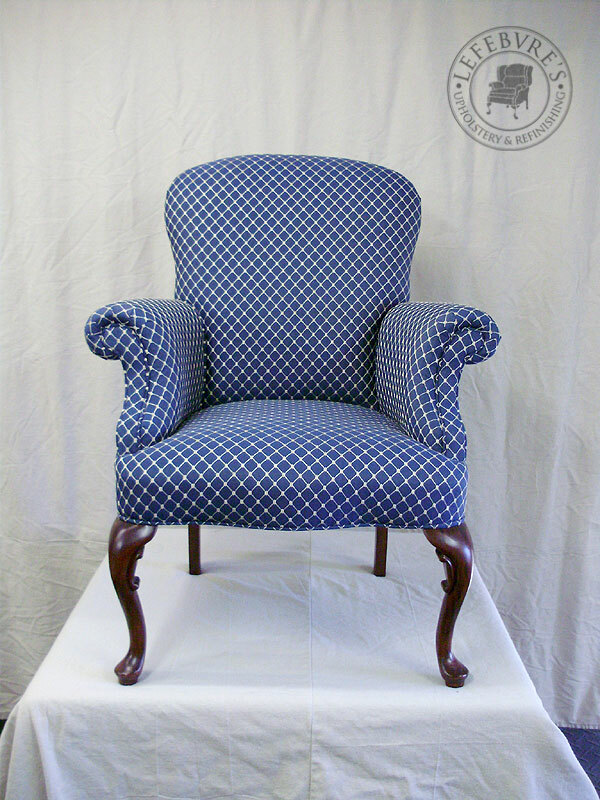 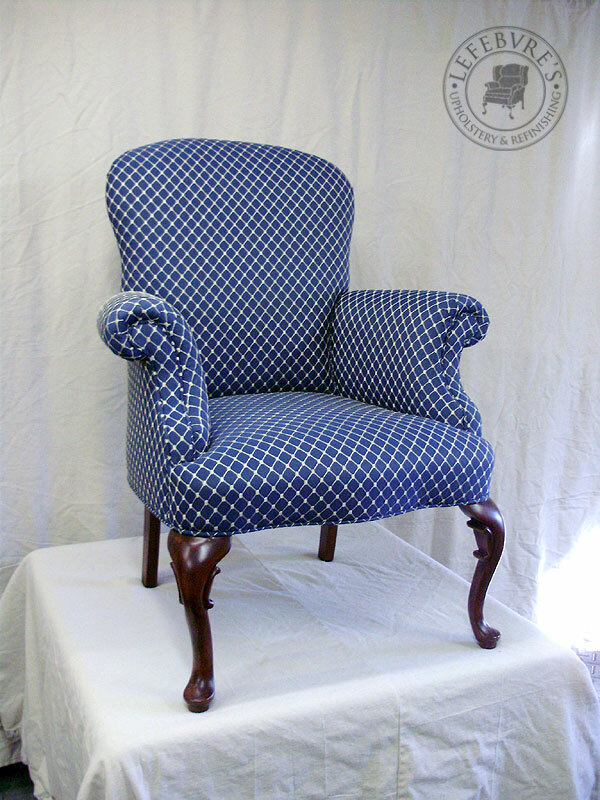 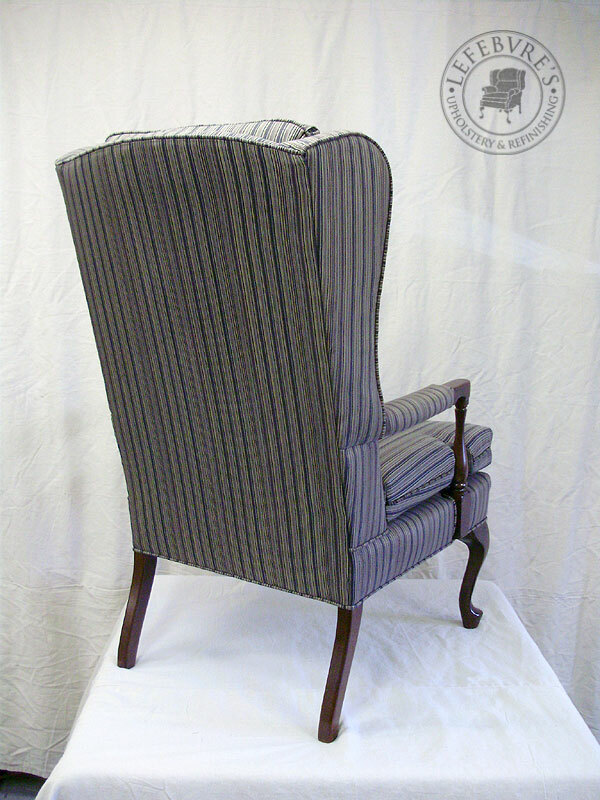 Here is an interesting take on a traditional wing chair. 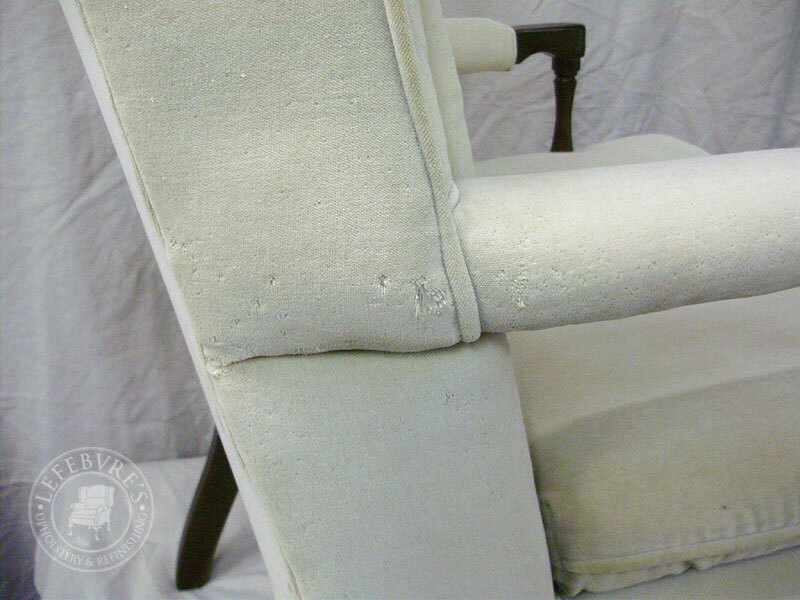 This chair had some pet damage (scratch marks) as well as years of smoke damage. 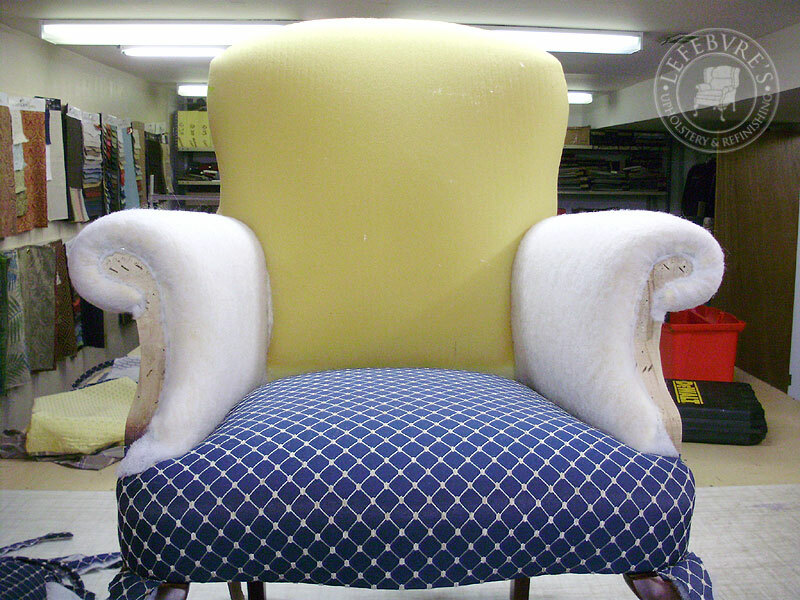 This piece shows the original colour of the fabric. 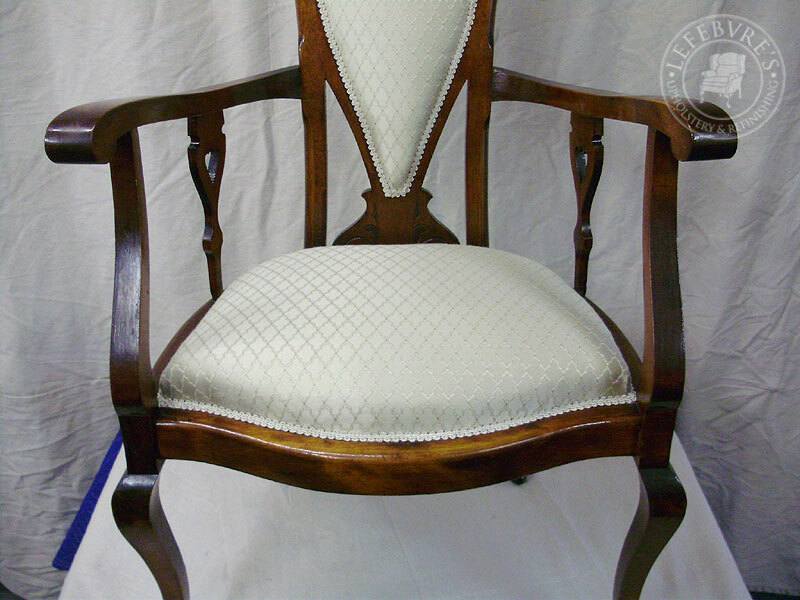 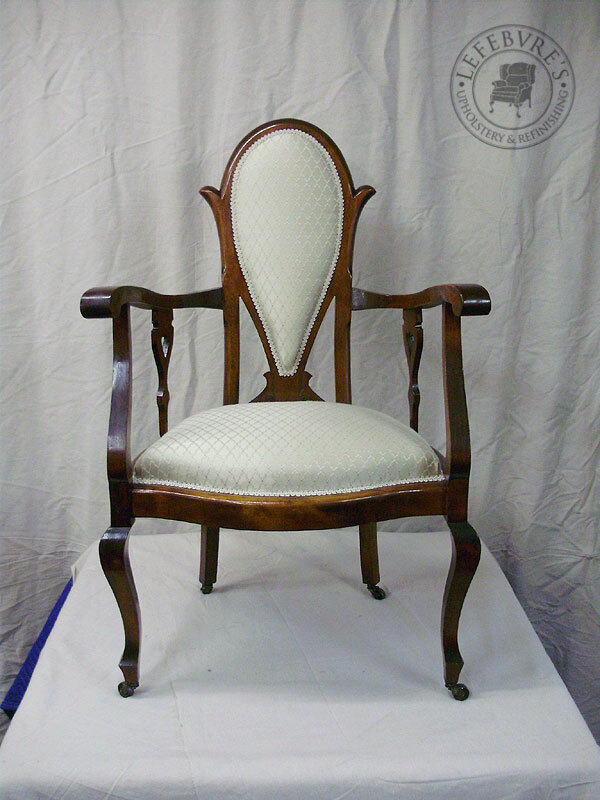 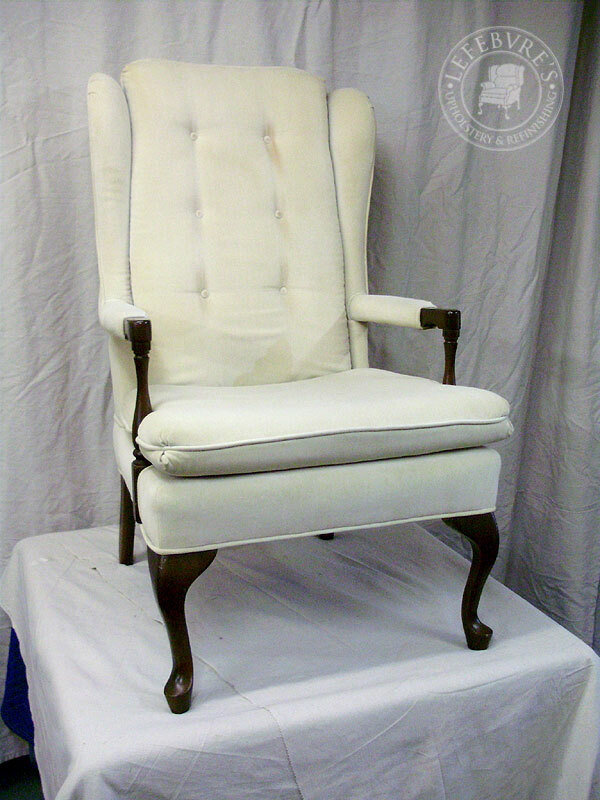 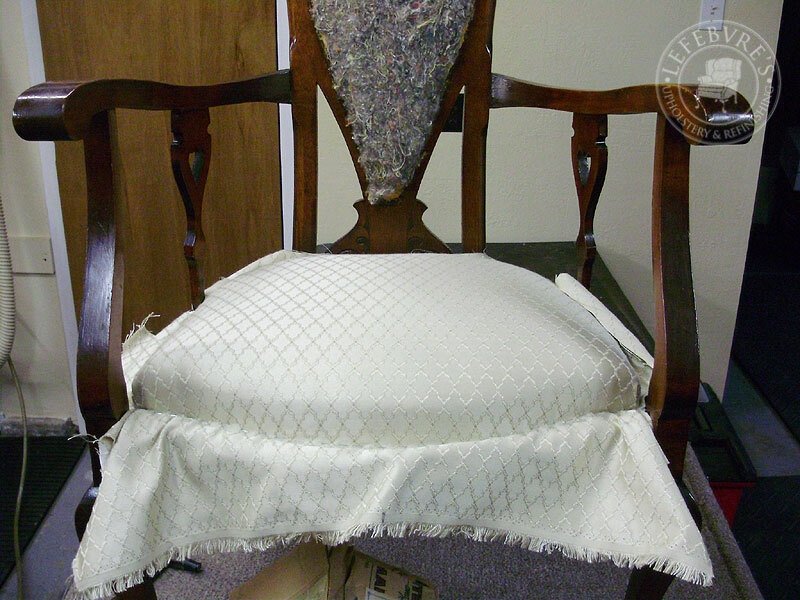 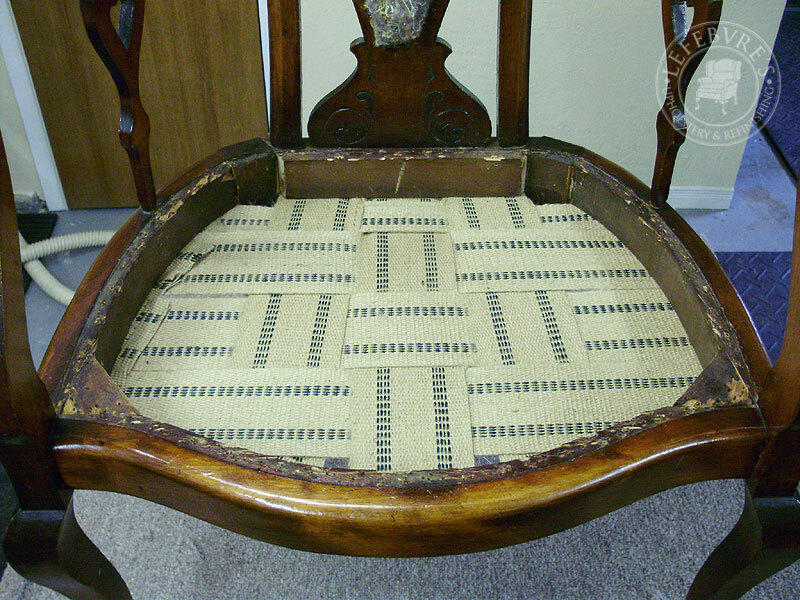 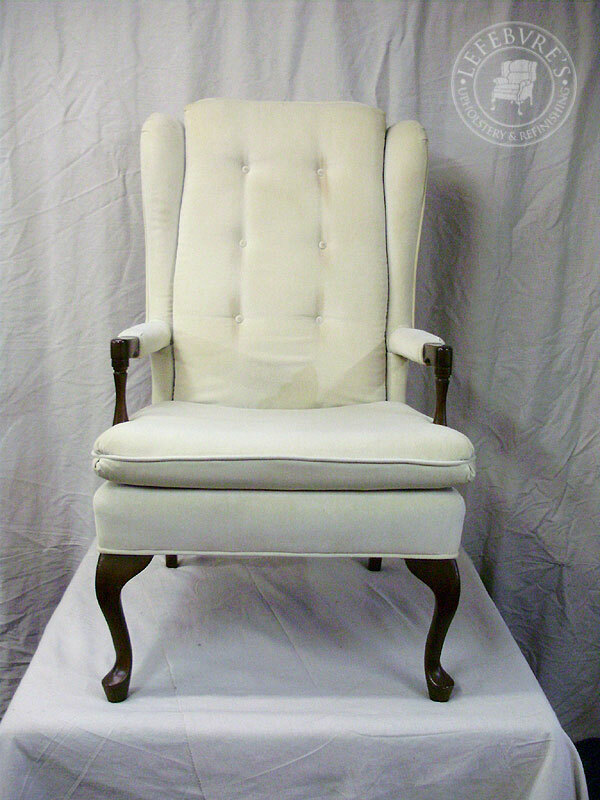 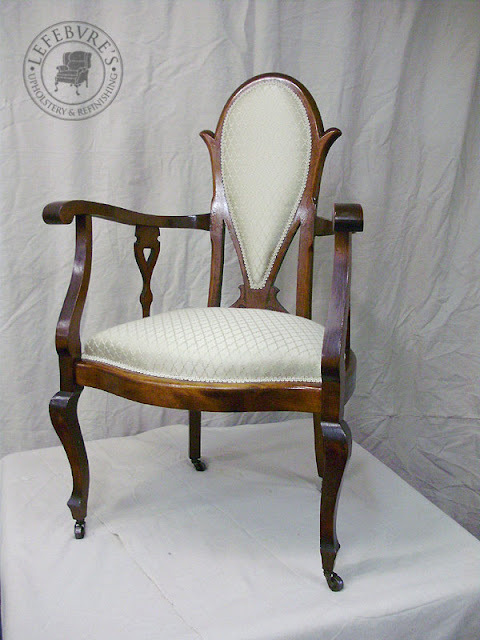 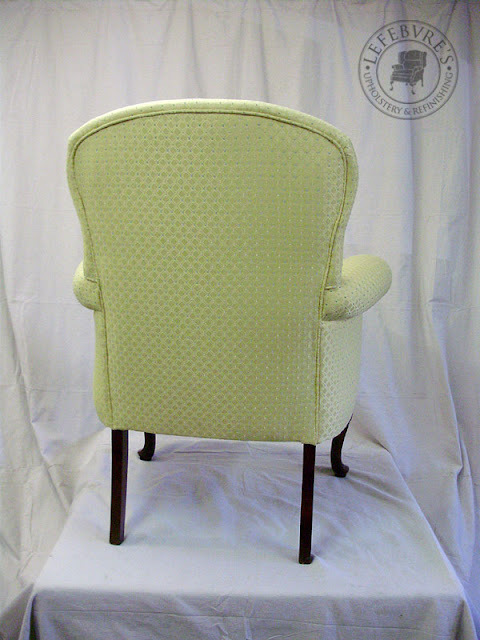 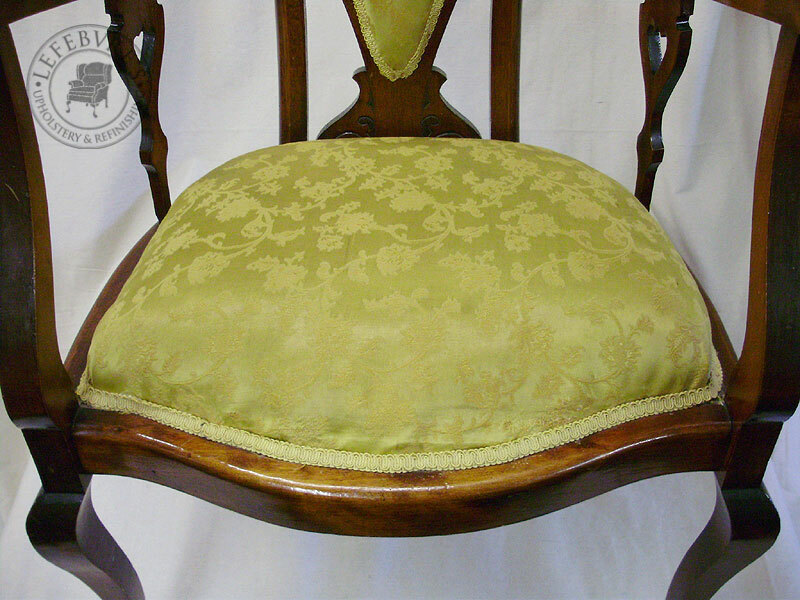 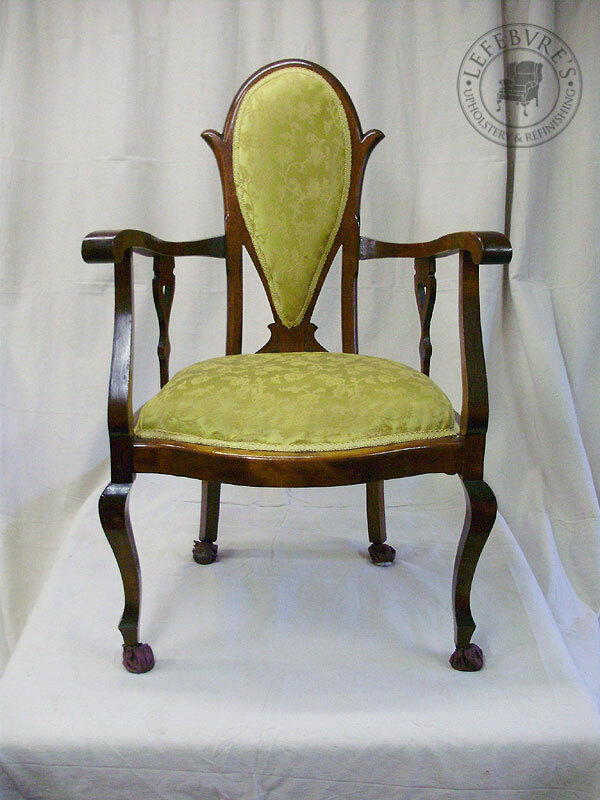 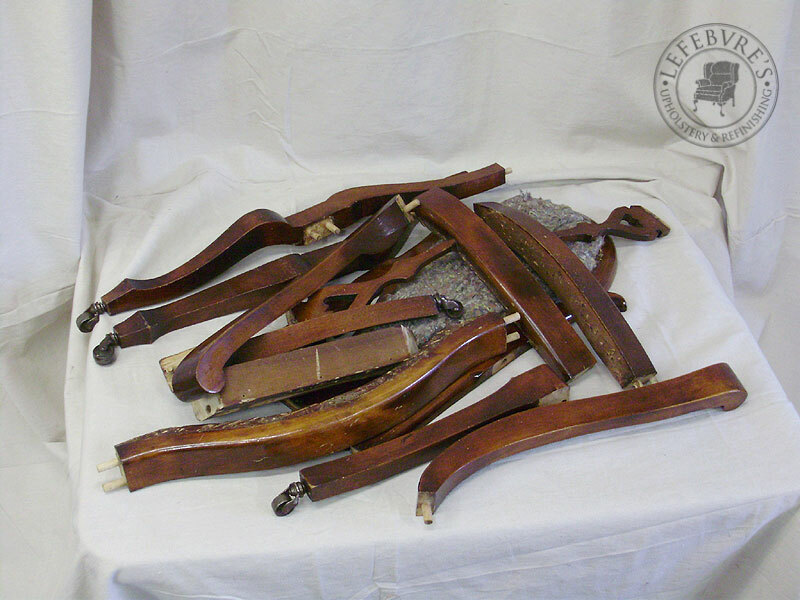 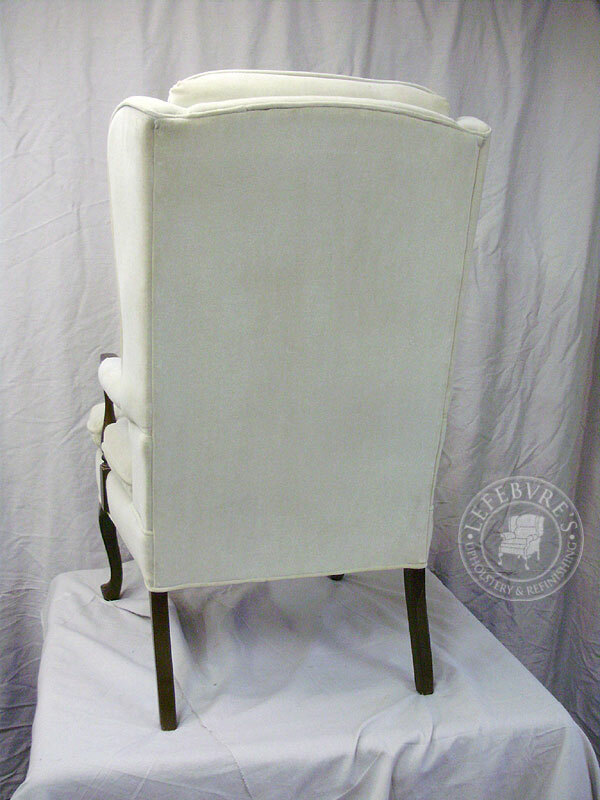 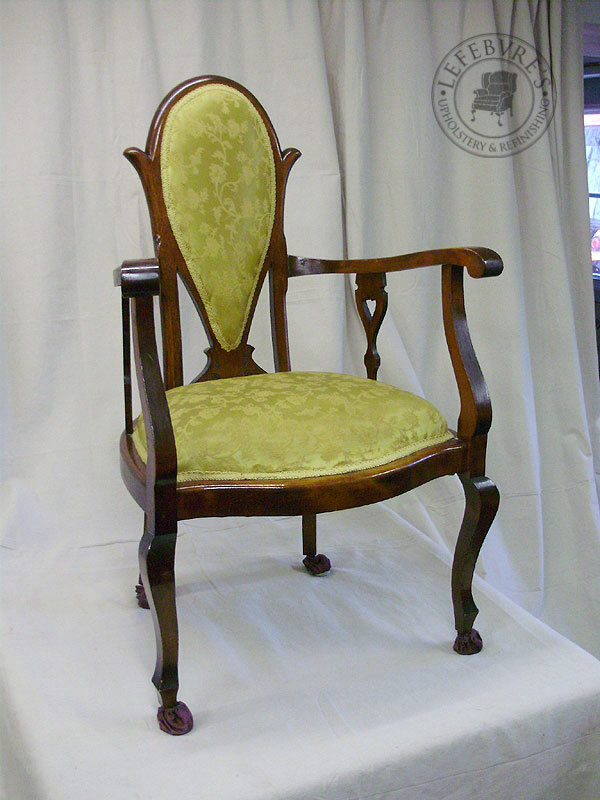 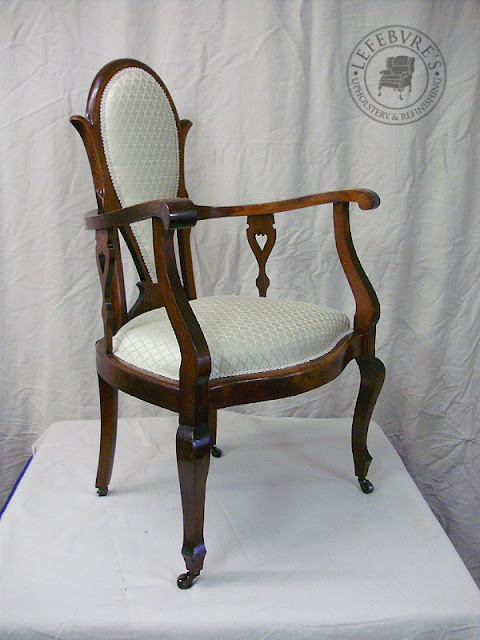 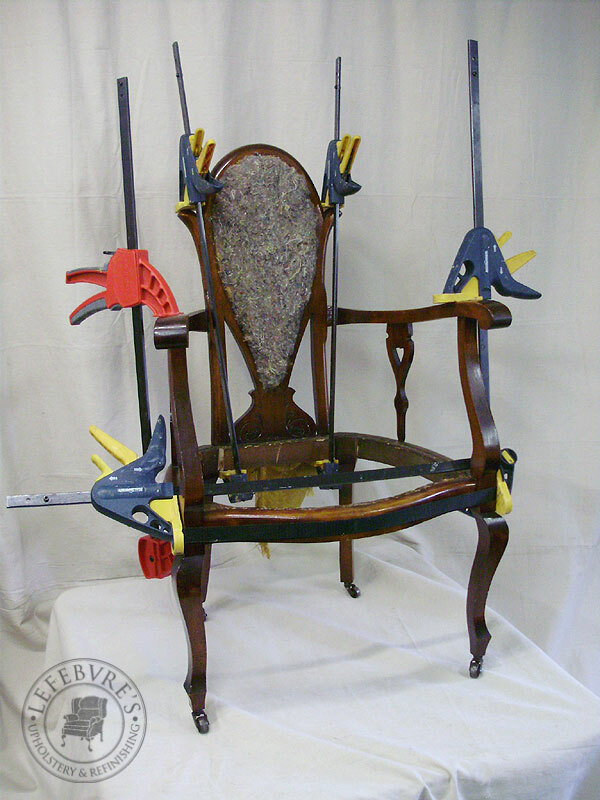 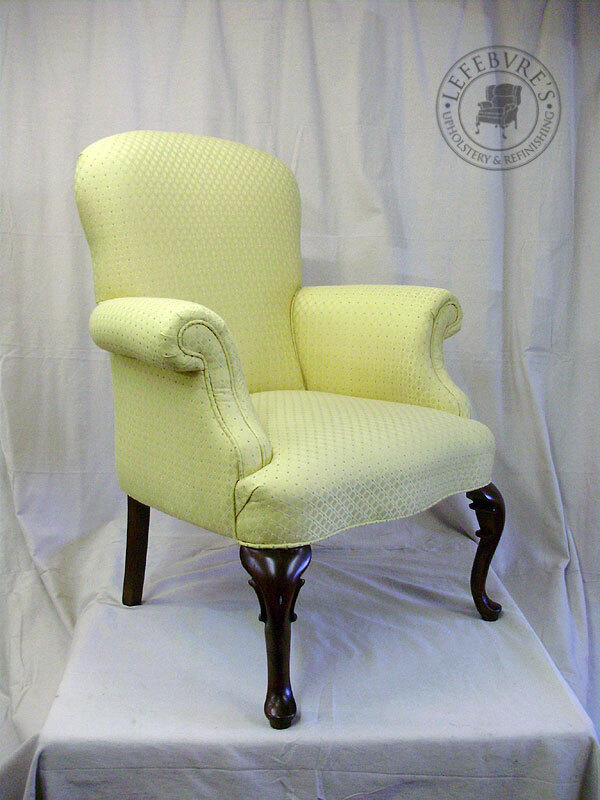 Here is a lovely antique chair that was in need of repairs. 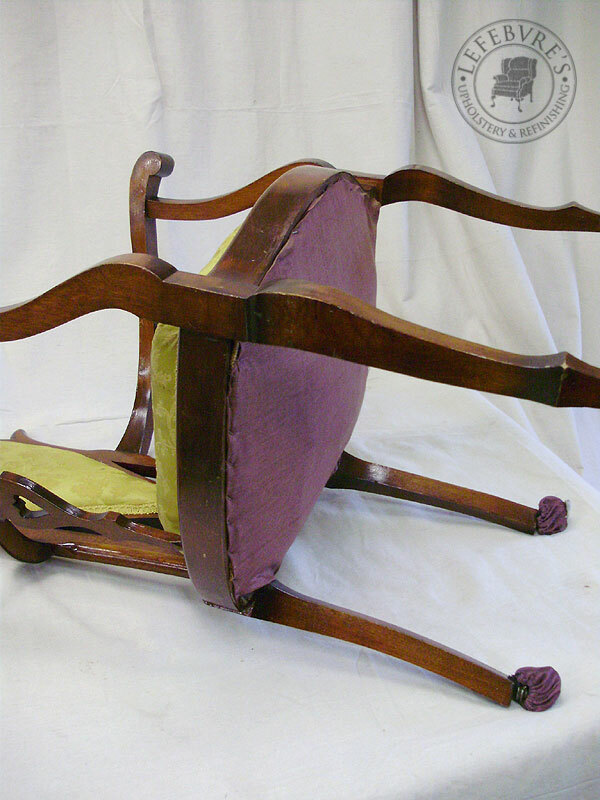 The frame had some loose joints, and the front of the seat had collapsed. 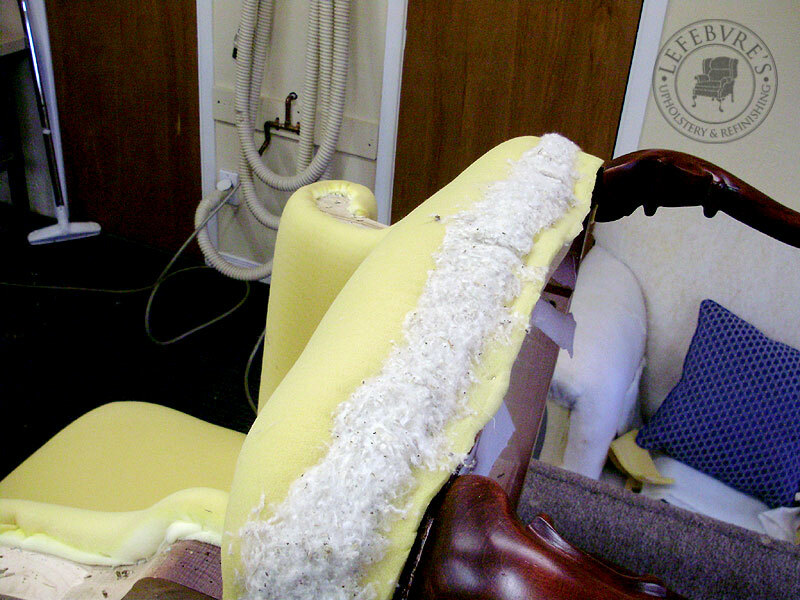 You can't see too well, but the entire front upholstery was loose and floppy/collapsed. 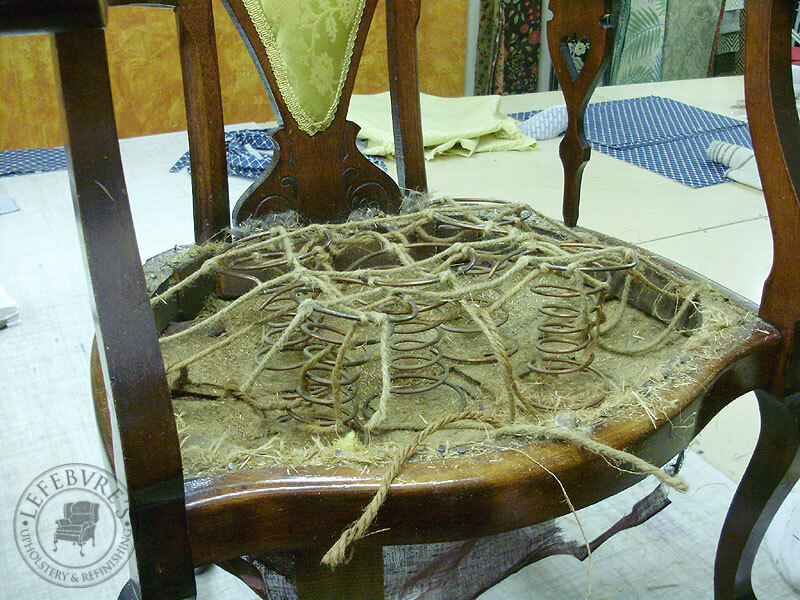 The old webbing and springs had bowed and stretched out the bottom quite a bit (which happens over time). 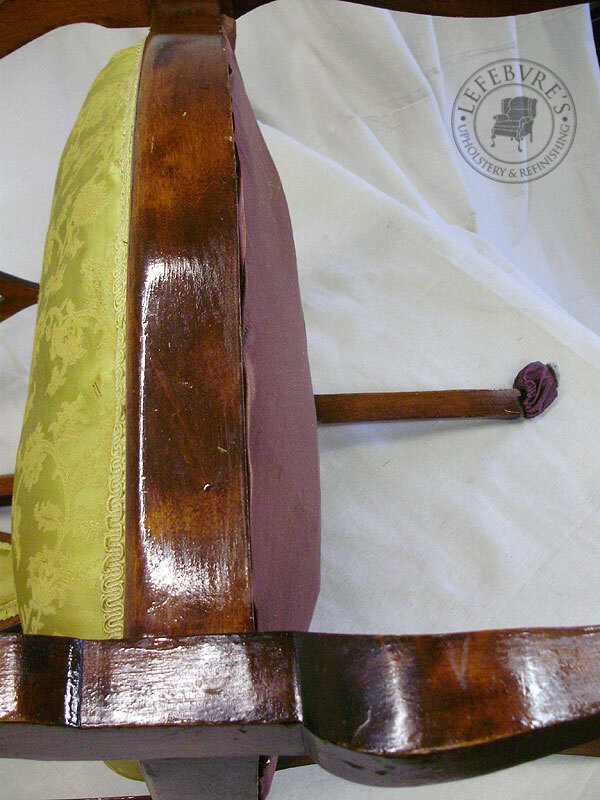 When Pierre opened the front of the seat, he found a bunch of wadding stuffed into the cavity in a poor attempt to repair the seat. 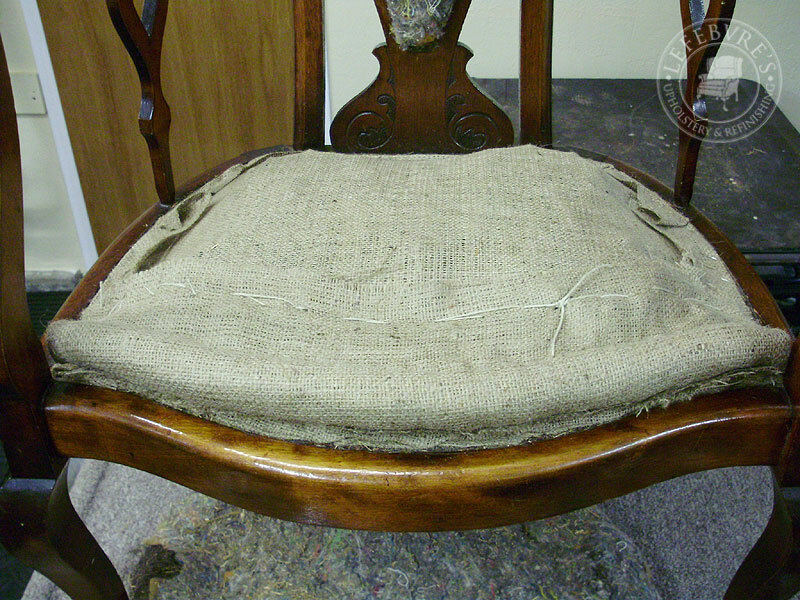 With the padding removed, we could see that the old burlap was all torn at the front (again, this is normal wear and tear over time). 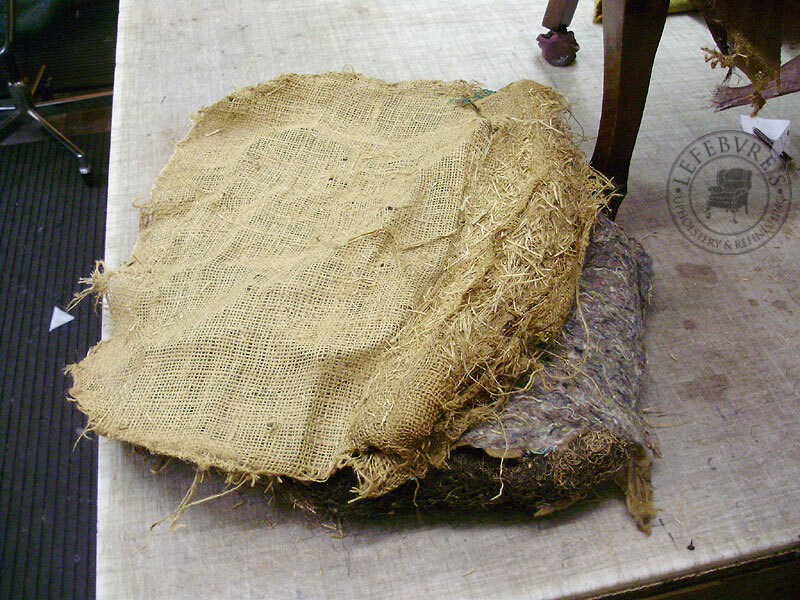 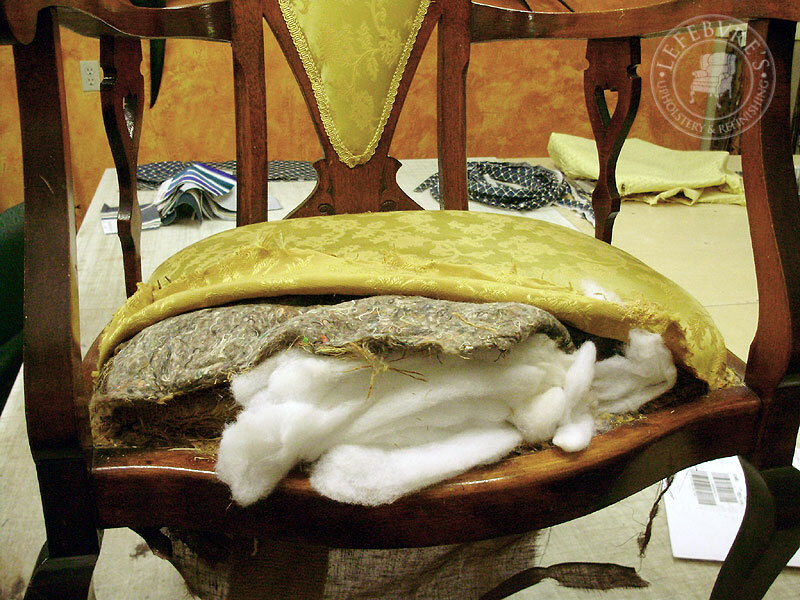 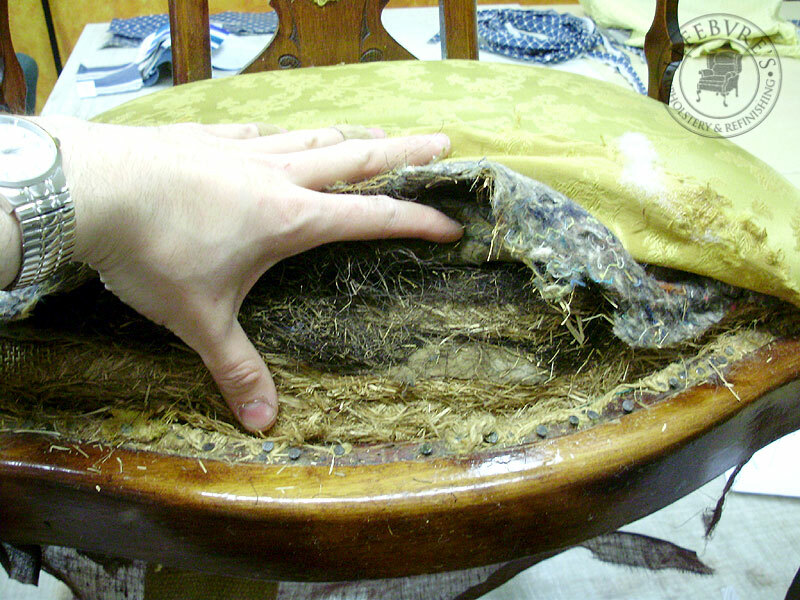 The original stuffing was re-installed, with a new rough cover, followed by the finish fabric. 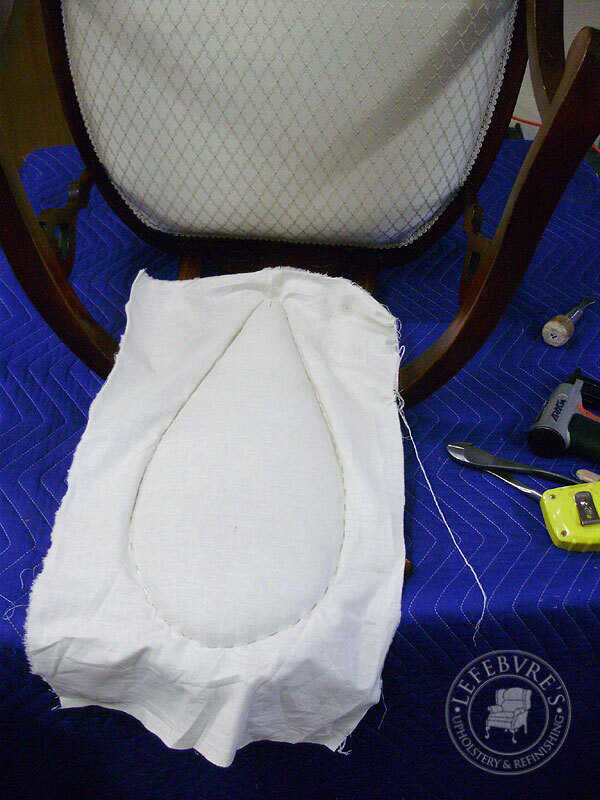 Rough cover on the back rest. 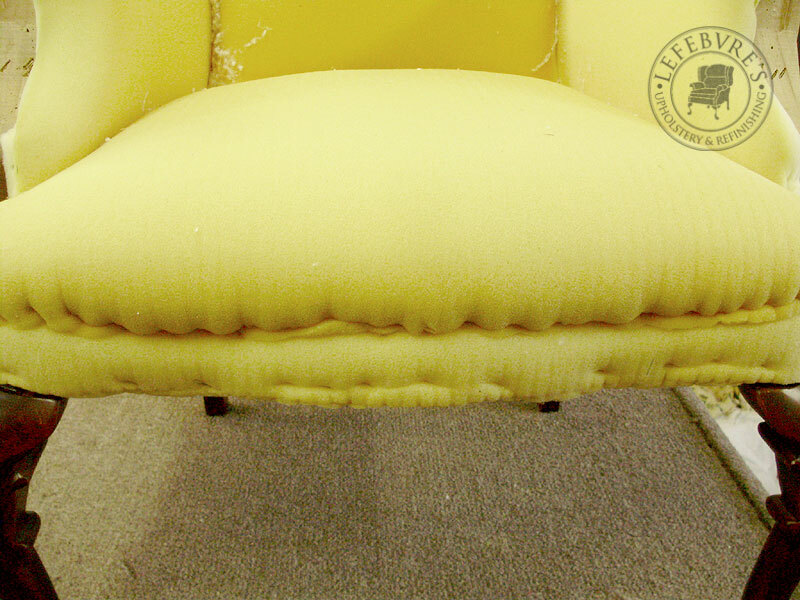 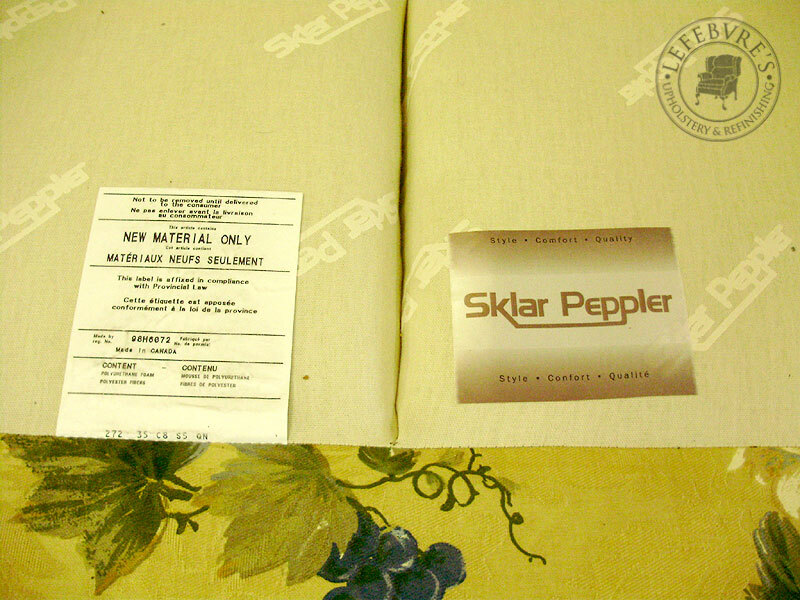 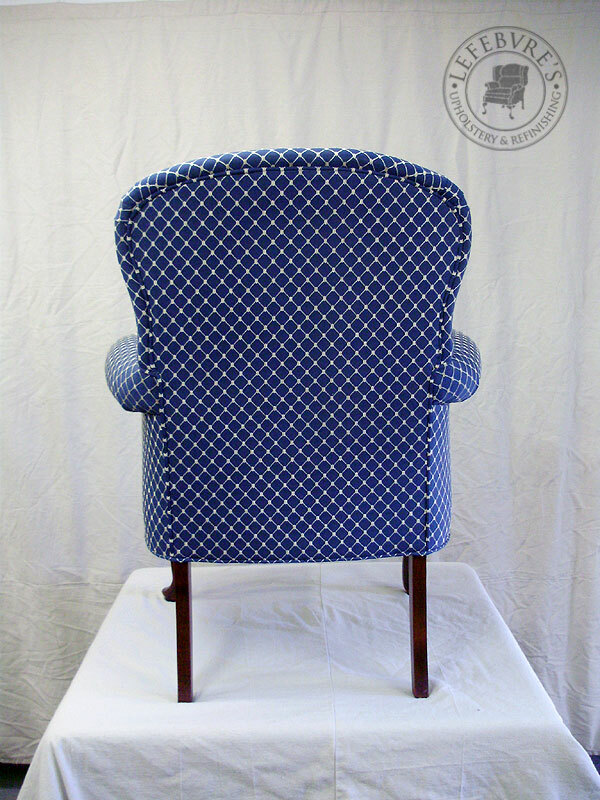 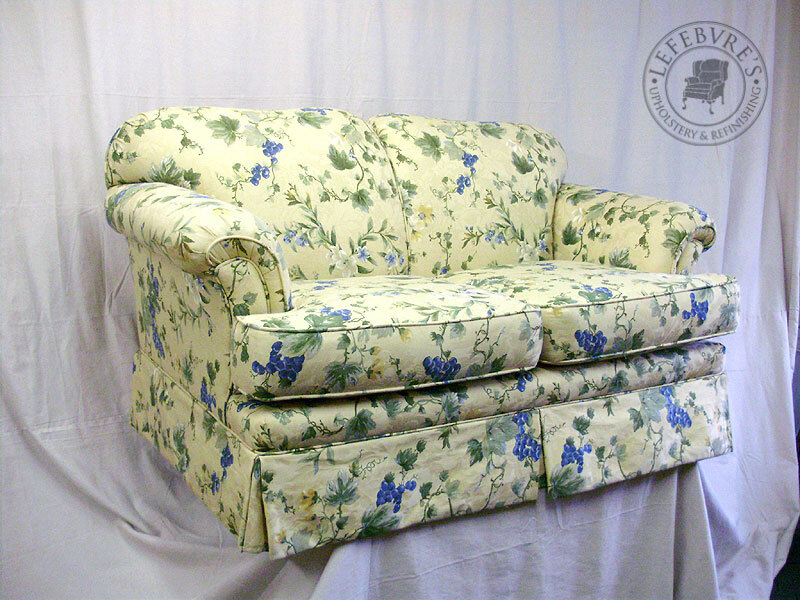 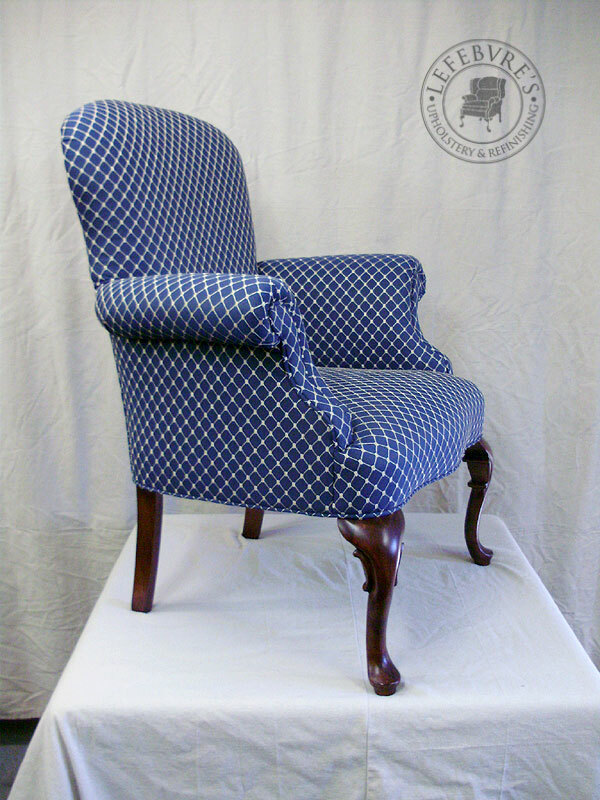 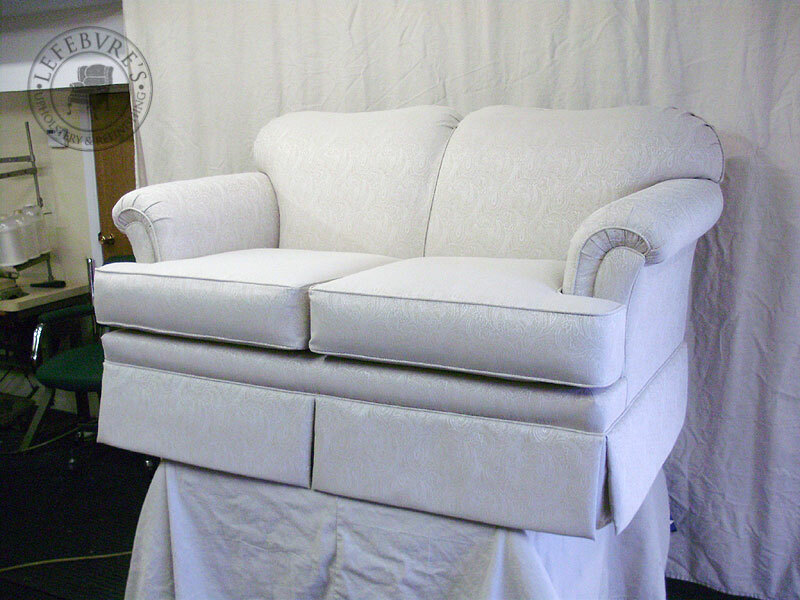 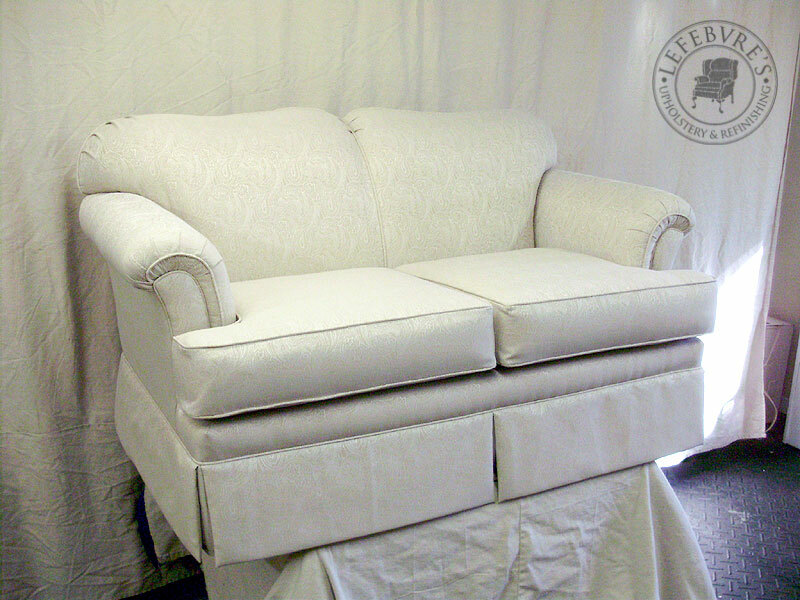 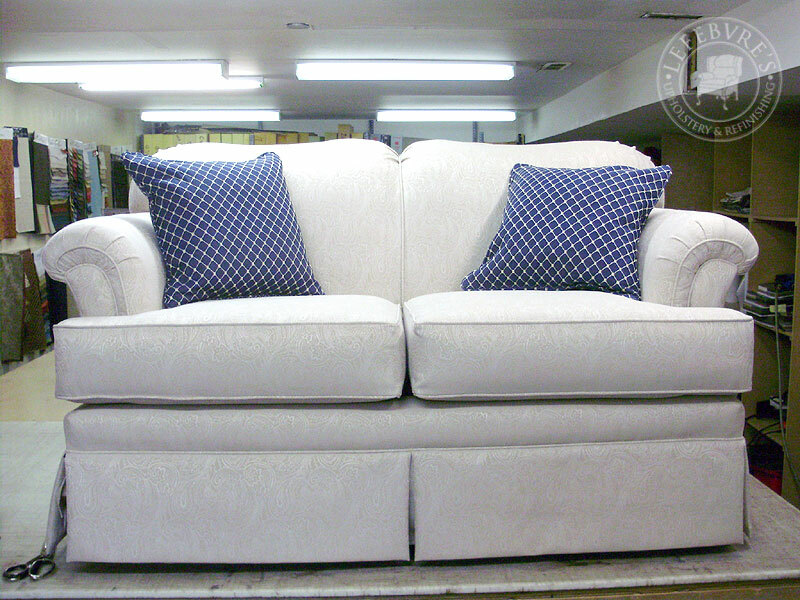 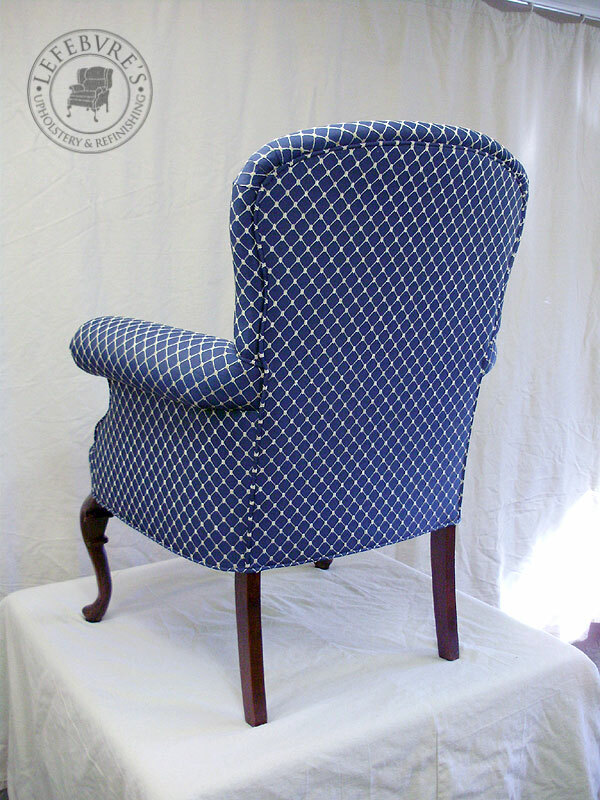 Here is a Sklar Peppler loveseat, which was going with the two previous blue arm chairs. 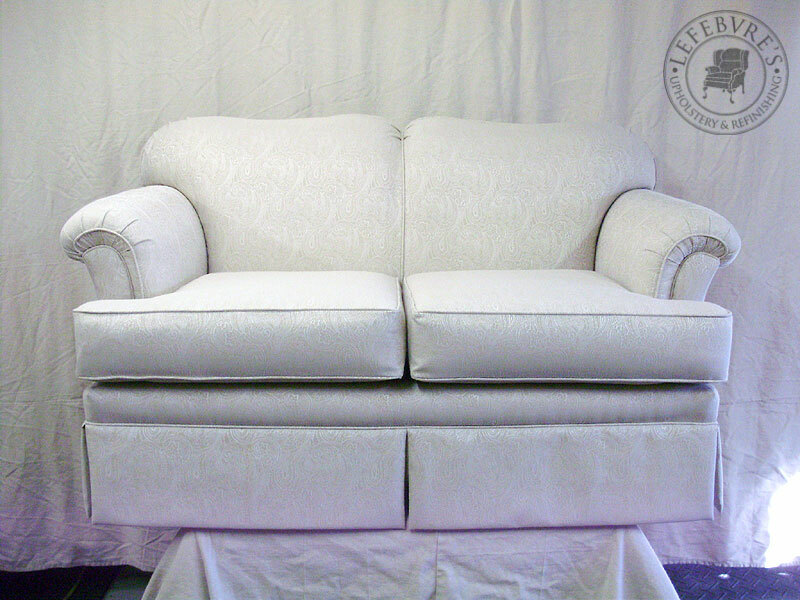 This fabric is hard to show properly in the photos, but it is off-white (slightly grey) with a white satin paisley print over it. 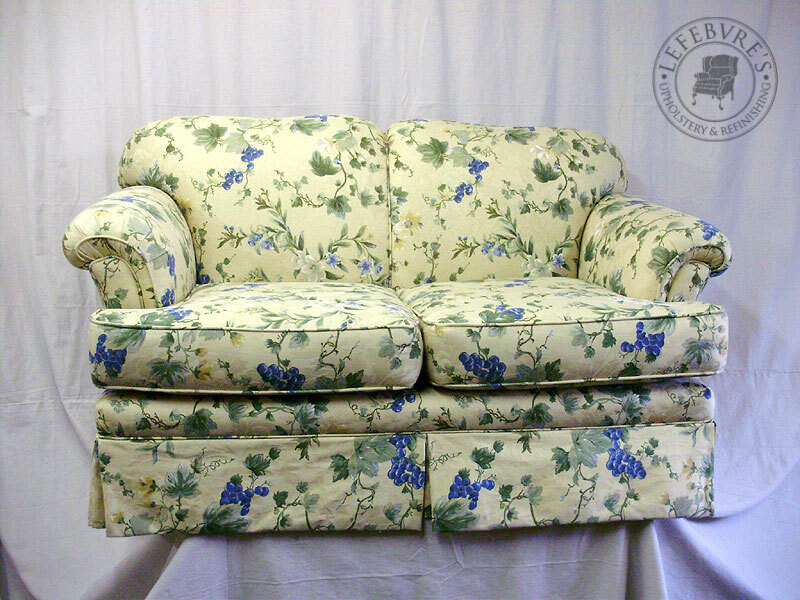 This is how it will look with the two coordinating toss pillows. 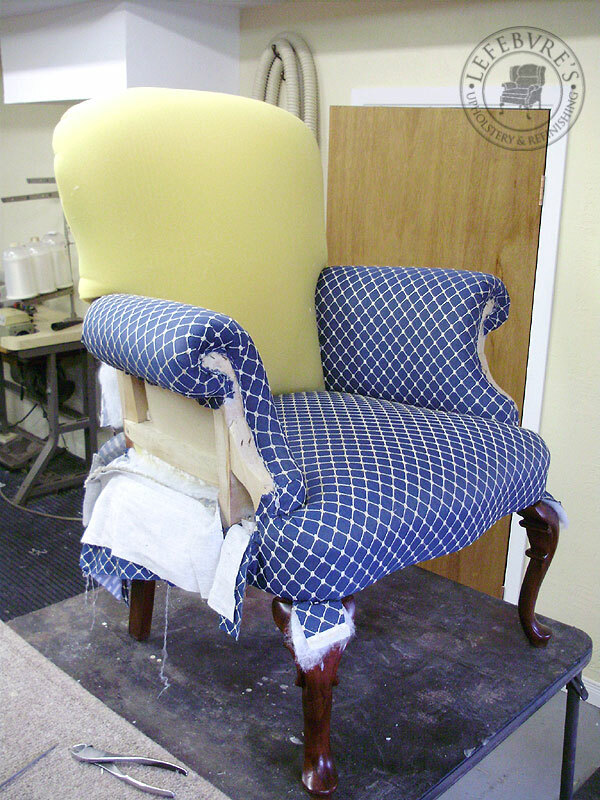 These two chairs were fairly new, but one chair was lightly soiled, and the owner wanted to change the colour scheme. 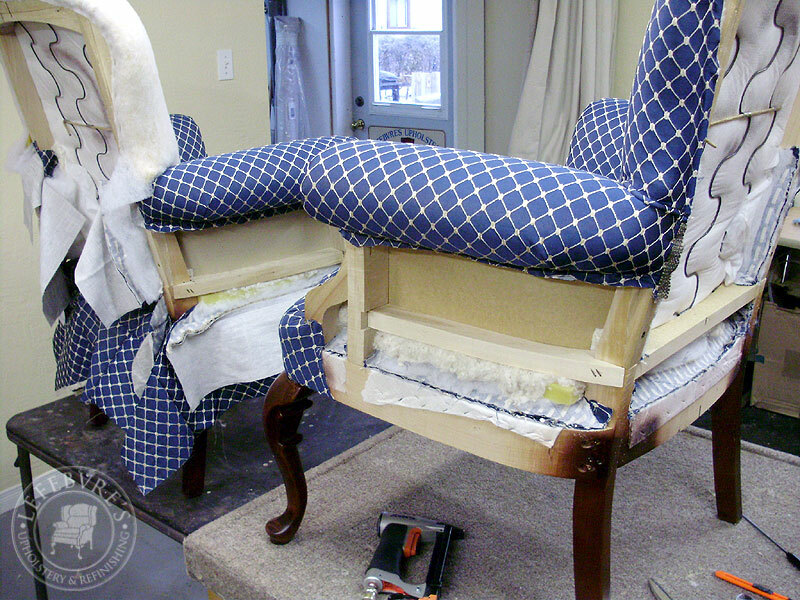 These two chairs also went with a loveseat which will be posted next. 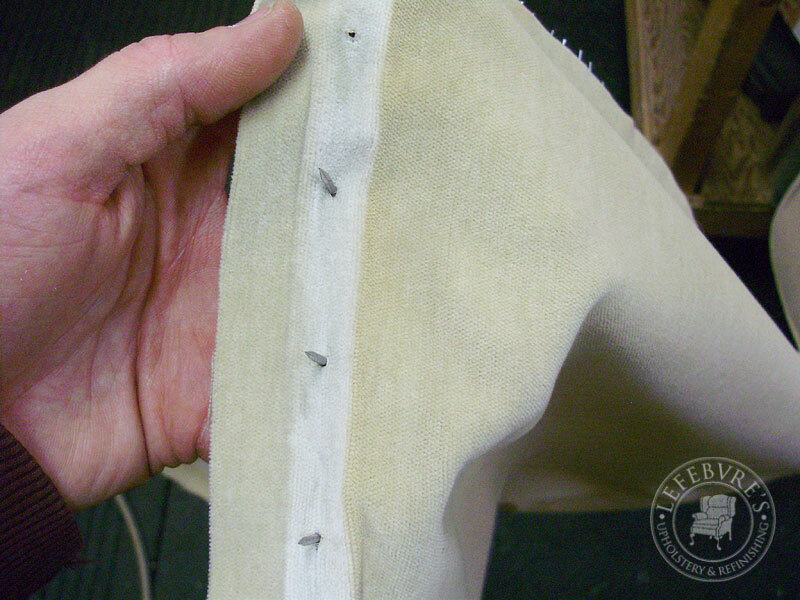 Pierre and I didn't like how they had attached the foam at the front, since it left a bit of a hollow, so this area was filled-in with cotton.